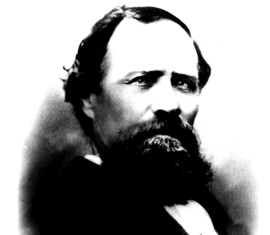 Marshal Burt was murdered by a deranged man in downtown Salt Lake City. Accompanied by the city water master, the 54-year-old victim officer was searching for a suspect who had earlier threatened the life of a local merchant. When they located the suspect at 200 S. Main, the suspect shot Marshal Burt with a .45-70 caliber rifle. The city water master was wounded but managed to disarm the suspect. Officers took the suspect to the city jail where a large mob soon gathered. The mob stormed the jail and lynched the suspect, dragging his body through the streets behind a team of horses. Marshal Burt was married and the father a large number of children. He is buried in Salt Lake City Cemetery. His bronze name plaque is sponsored by retired Salt Lake City officers Steve and Judy D. Diamond. Thats crazy, I am related to him as well. I live in Washington state. So it’s weird to think of relatives I Australia. This is my grandma’s and great aunt’s great, great, great grandfather and now the only remaining original and direct desendent as my grandma has since Passed away is her sister. Every one of the Utah grandkids that attended Churchill Jr. High School did a school report on Marshall Burt along with all the original Newspaper articles and the story that was published in the Utah Peace Officers Association Book.